Hampton Roads Publishing, 9781571748423, 144pp. According to the Pew Research Center, approximately 37 percent of Americans identify themselves as spiritual but not religious. How to Be Spiritual Without Being Religious is a book for that sizable number of folks who seek a rich and authentic interior life but find formal religious affiliation unappealing. It is a clear and nondogmatic guide for finding one's own path of transformation, for embracing a vision of a "practical faith" that enhances a life of happiness and peace. 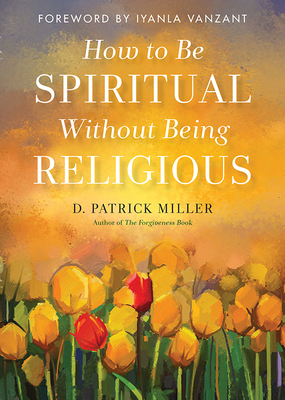 Miller's concise approach arises out of what he calls "the spirituality of ordinary life." It is an approach dedicated to exploring the big questions: "Why am I here?" "Who am I?" "What is the best way to be of use." D. Patrick Miller is an author and publisher living in Northern California. You can contact him at www.fearlessbooks.com.